This is the beta release, which means no more new features will be added until the final release of WordPress 4.5. However, please know that some of these features may not make it into the final release. If a theme does not support this feature, then it will not be visible in the customizer. Inline text shortcuts were introduced in WordPress 4.3. They allowed users to quickly add formatting markup by using simple text shortcuts. WordPress 4.5 is introducing more shortcuts like `code` for code and **bold** for bold. For those users who don’t like these shortcuts, here is how to disable inline text shortcuts in visual editor. 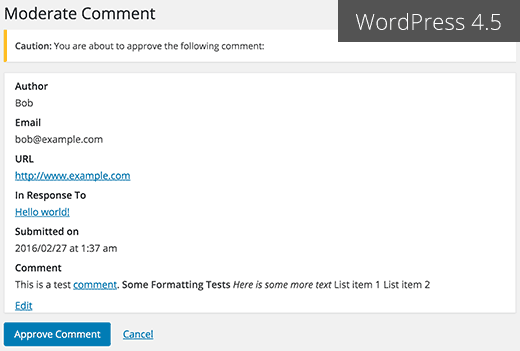 Many bloggers spend a lot of time moderating comments in WordPress. Comment moderation is a necessary evil that we all have to tolerate in order to combat comment spam in WordPress. 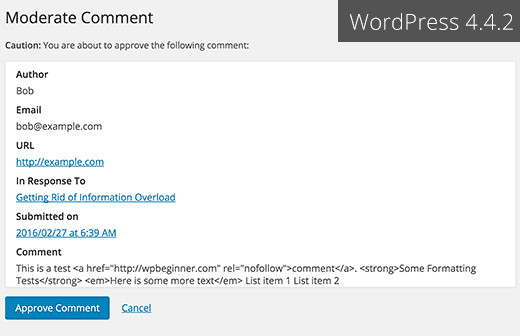 WordPress sends you an email notifications when there is a new comment submitted. Clicking on the approve, spam or trash link in the email will take you to a screen where you can see that comment with a button to perform the desired action. This screen does not allow you to edit a comment. It also does not show you any formatting in comment text, which isn’t pleasant. With WordPress 4.5, you will get to see an improved screen. It will show you the formatting in comment text as it would appear in the browser. It will also have a link to edit the comment. In the past, WordPress didn’t allow users to login with email by default. 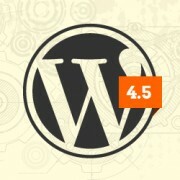 This is expected to change in WordPress 4.5. 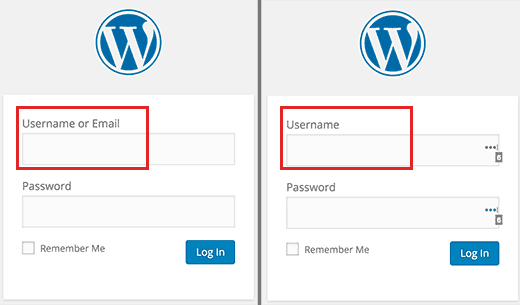 Since each WordPress user on your site already has an email address associated with their account, they will now be able to use their email address to login. 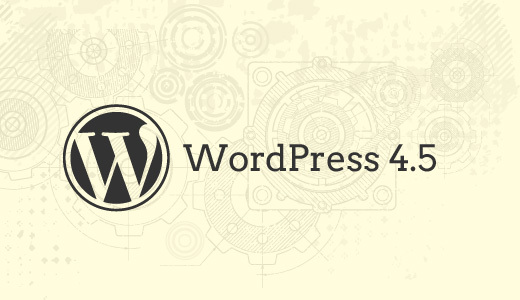 We hope this article helped you learn what’s coming in WordPress 4.5. Let us know which features you find exciting and what you would like to see in future releases of WordPress? Ok, the update removed all the “open in external tab” check marks and all of my “no follow” links. None of the ‘no follow” plugins are working. I also had to remove other plugins. Please help! I already was dinged by Google. Go to Dashboard » Updates to see if there is an update available for Twenty Eleven. If there is, then first back up your entire WordPress site and then install the update. Since 4.5 my tabular content isn’t showing by entering the page? what happens here? My question is, where did the editor go? I usually go into the dashboard, click on appearance and in the drop down click on “editor” so I can edit my home page and sidebars, etc. It’s hand coded and I need to update a video on my home page and can’t find home.php, which is usually under appearances –> editor. Same here… We’re going crazy figuring out what to do… our CSS Editor is gone. haist!!! I suggest that you create a child theme and put all your CSS design on style.css file so that next time, even if there is an update, your css file will not be affected. The below thing are not working in the 4.5 beta version. `code` for code and **bold** for bold, italic, #h1 are not working . Pavan — The backticks for code should be working. I just tested today in the latest beta version. Developers decided NOT to move forward with the **bold** or __italic__ text patterns. And a single hash (#) was never a valid text pattern. The h tags start with ## for h2, and run through ###### for h6. h1’s are not supported. This is nice, but simple, common sense requests that I and others have been asking for, are ignored and there seems no way to communicate what we want or to get answers on how to code it for ourselves. I NEED to be able to limit posts by category, per page. Seems simple, if you know how to code in WP speak, but I don’t. I would be happy to buy a plug in to do this, but don’t know where to go to find such a thing. Have googled and everything else I can think of, to no avail. Would it solve your issue when using Gravity Forms? I can imagine you make a page with a form where you have a mandatory choice of the post type categories you allow. GF also supports other post elements to create a new post from. Hope this helps. Just mail me if you have more questions. Hmm… my initial reaction to the new ability to sign in using email is… WORRIED! Seems like this gives the bad guys more ways to try to hack in — and now we must make sure all users have strong passwords in more places. What am I missing here that will assuage my fears ?! THIS! Can we disable login using email? Love to see the ability to create tables in free WordPress. Please!!! Meanwhile you can try TablePress. The base plugin is free and quite enough in most usage scenarios. There’s also a great plugin that adds simple table creation tools to the TinyMCE editor: MCE Table Buttons plugin. I’d recommend this if you need a simple solution. TablePress is great, but much more robust. I have a different question here. How do you define image size on media setting for bootstrap wordpress theme. Like interms of -xs , -sm, -md and -lg. Suggest me. 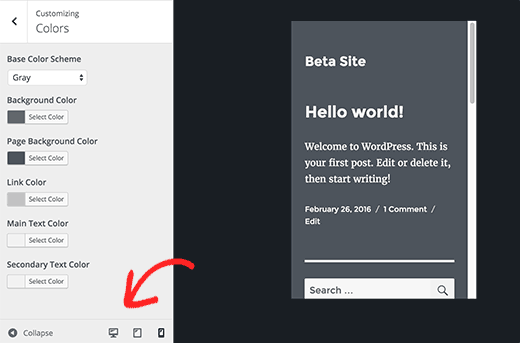 Really nice updates to WordPress in 4.5, I really like the ability to login with email as I have some websites I manage where clients have had to use their usernames or I have had to implement a plugin to make this happen. Also the responsive quick click button in Optimizer is something that I think will add to the UI. Such a pity that Elegant Themes’ Divi doesn’t take advantage of WordPress’s responsive images feature. In regards to “Optimized Image Size Generation”, I was curious what you thought about the use of WPMU Dev’s Smush Pro. Would that sort of plug-in still be needed? Please see this article, Optimizing Images with WP Smush (Pro, Cons, and Alternatives). Some great developer features. When are you guys going to add a “Search Pages” field to an existing page so we don’t have to click on “Pages” in the Dashboard sidebar and then enter the search term in “Search Pages”? Something to think about for the next update! Most modern day web browsers have a search function, just hold control + f while you are on a page and type the word in your looking for! I’ve been waiting for an implementation of something like wp_add_inline_script() for years, truly a great news for developers! I am not sure why you waited. It is just pain in the a**. You could do it several other ways. Nothing about improved security. I’ve been dealing with several hacked sites recently and I just don’t understand how this happened. Probably a mix of things, but wordpress is weak in this regard. Hi Enrique — I’ve dealt with a few hacked sites in the past year, so I feel your pain. However, the WordPress core code is incredible secure. It’s really not a problem with WordPress itself, but more of an issue with vulnerabilities in plugins & themes, to go along with weak passwords and user ignorance about general security practices. I’m not saying there aren’t ways WordPress could continue to improve security, but we want to be careful not to make it so difficult to login that your average user can’t access their own site. I see a lot of responsibility for designers, developers & those setting up the sites to educate users, and setup proper security measures. WordPress 4.4.2 lets you bruteforce wp-login.php as many times as you want. Each time you login, it does a database query and can fill up server connections especially if coming via a botnet all over the place. All WordPress core would need to do, is record the time of the last attempt, and if it happened within the last 3 minutes, deny any subsequent attempts from anyone. This means no database calls, no multiple web server processes, etc. It would just be a simple text deny. Little things like this can be really important. You might suggest there are work arounds to prevent this, but this is something that should be part of the core itself. I really hope WordPress has some small (but important) security enhancements in the future, to stop botnets from hitting xmlrpc and wp-login.php whever they want on a default WordPress install. But line breaks are still randomly deleted and inserted in the text editor? I can’t believe this is such an old bug and it never gets addressed. Tom, something similar to this is being implemented with 4.5 (if I understand it correctly). You’ll be able to hold down the SHIFT key and click on various elements in the preview pane, and the corresponding setting will open up on the left. Give it a shot when 4.5 official launches. Thanks for the preview, it was very interesting! I didn’t know you could try WordPress betas, so thanks for that tip as well. Just started up a new site last week, and glad to see the email login and comments changes. More and more this confirms that I’d rather stick with native comments and use add-ons to add functionality, rather than getting an outside comments tool. Thanks for the great round up. Looking forward to some of these features, especially for image performance. This update would be a great enhancement regarding basic controls over a WordPress site. I wish WordPress offers all basic controls by default for necessary configurations. For example, almost every site has a logo and favicon. Favicon upload option has given already and now logo option as well. Awesome!